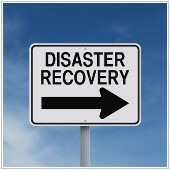 We are no longer in the dark ages of Disaster Recovery. With the onset of cloud computing, DR has become more efficient and affordable than ever. Despite this fact, many business owners still cling to their medieval DR mindsets and myths that belong in debates among king Arthur and his knights of the round table. So if you’re uncertain as to how DR has changed and are ready to step into the light of this glorious cloud computing age, here are some myths that will soon be part of IT folklore. It’s also worth noting that modern day DR solutions also provide another valuable commodity – time. So ask yourself, is the mindless task of backing up tapes really worth the time of your IT staff? Wouldn’t you rather have them working on more valuable tasks that require a skill? Today’s DR service providers eliminate this need, as they take care of nearly everything. You or your staff will never have to bother with it. Should you monitor your employees online? Is your computer infected with malware?